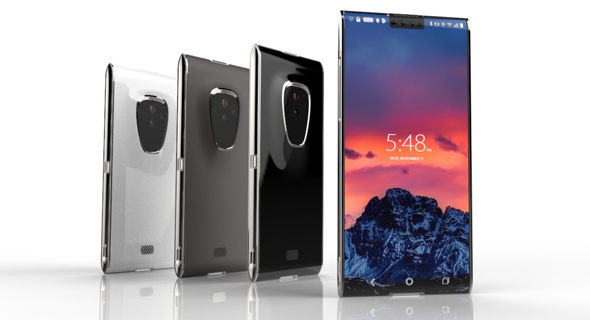 Sirin Labs, the company that launched the $14 thousand Solarin phone last year, is pivoting. The company is holding an crowdsale event in October to finance the development of an Android-based smartphone and computer line that will utilize blockchain architecture, the company announced Tuesday. Tel Aviv-based Sirin Labs was founded in 2013 by Moshe Hogeg, an Israeli-born entrepreneur and by Kazakhstan-born businessman Kenges Rakishev. Messrs. Hogeg and Rakishev who founded venture capital firm Singulariteam Ltd. in 2012. According to a 2016 press release by the company, Sirin Labs raised $72 million and used the funding to develop an Android device touted by the company as the world’s most secure phone. The company introduced the device, called Solarin, to the market in May 2016. In March Calcalist reported the company let 30 of its 90 employees go, citing changes at the product level. Following the report, Techcrunch interviewed Mr. Hogeg, the company’s CEO, who said the company saw a little less than $10 million in sales at the time. The Solarin is still being serviced and sold, if not manufactured, the company said in its latest announcement. “We’re paying close attention to the feedback we’ve received for Solarin," said Mr. Hogeg in the company's announcement. "We decided to take the core offering and to wrap it with a new sleek design that’s a fraction of the cost, so it can serve the crypto community, and their growing need for enhanced security". Sirin Labs’s prospective devices will be designed to support blockchain applications, with a peer-to-peer resource sharing system that will rely exclusively on the Sirin Labs Token (SRN), a digital coin that will be minted by the company. The company's devices, which will start at $999 for the smartphone and $799 for the PC, will only be able for purchase using the token, the company said.